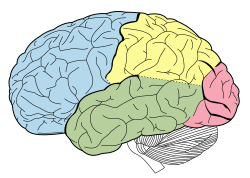 ↑ "Temporal Lobe". Langbrain. Rice University. สืบค้นเมื่อ 2 January 2011. ↑ 2.0 2.1 2.2 2.3 2.4 2.5 2.6 2.7 Smith; Kosslyn (2007). Cognitive Psychology: Mind and Brain. New Jersey: Prentice Hall. pp. 21, 194–199, 349. ↑ Squire, LR; Stark, CE; Clark, RE (2004). 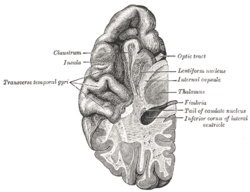 "The medial temporal lobe" (PDF). Annual Review of Neuroscience. 27: 279–306. doi:10.1146/annurev.neuro.27.070203.144130. PMID 15217334. หน้านี้แก้ไขล่าสุดเมื่อวันที่ 21 ตุลาคม 2557 เวลา 07:41 น.